Wooden Robot Building Blocks set of building blocks with robot designs on some of the pieces. 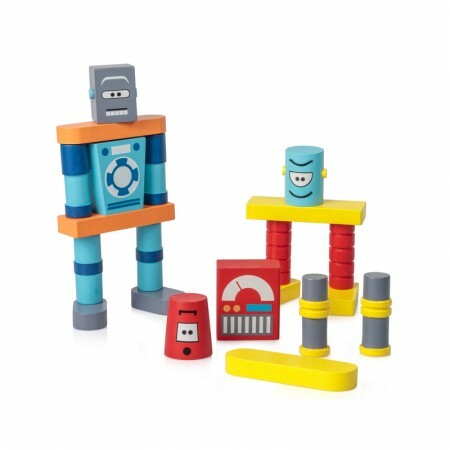 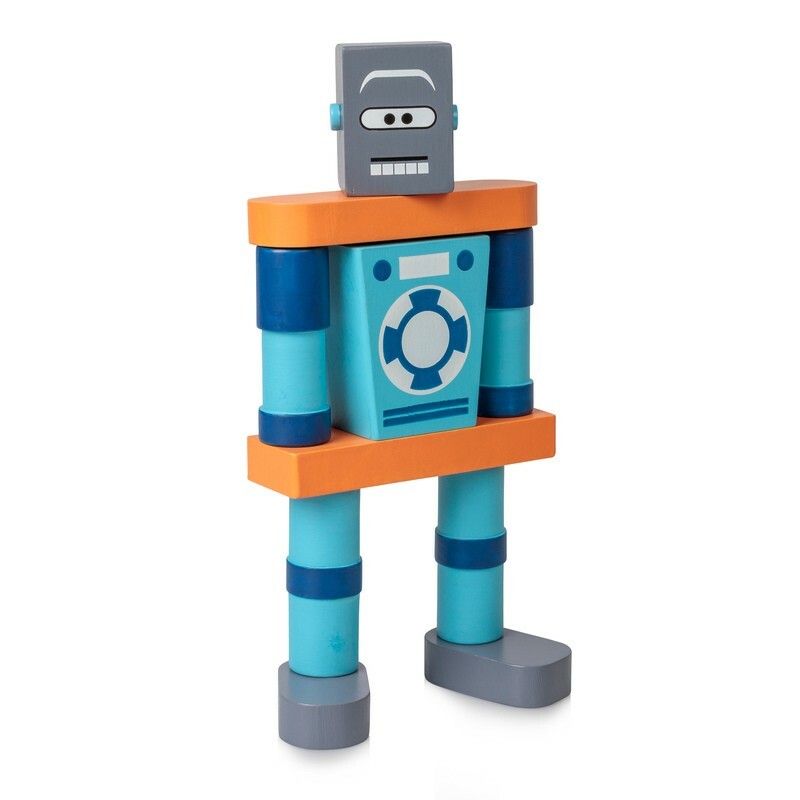 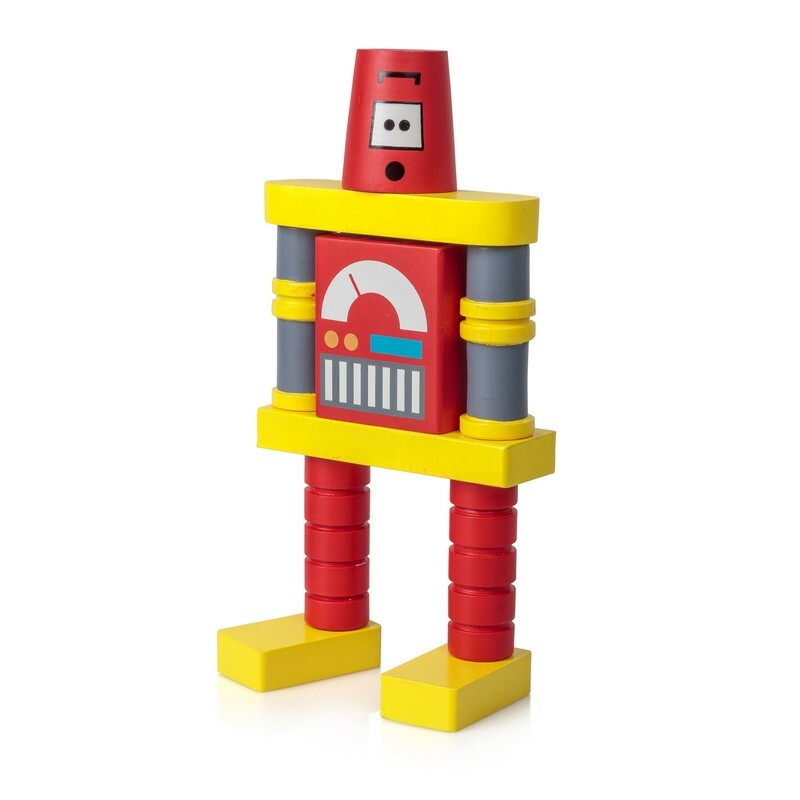 Stack the blocks to create a range of different robot figures in a range of different configurations. 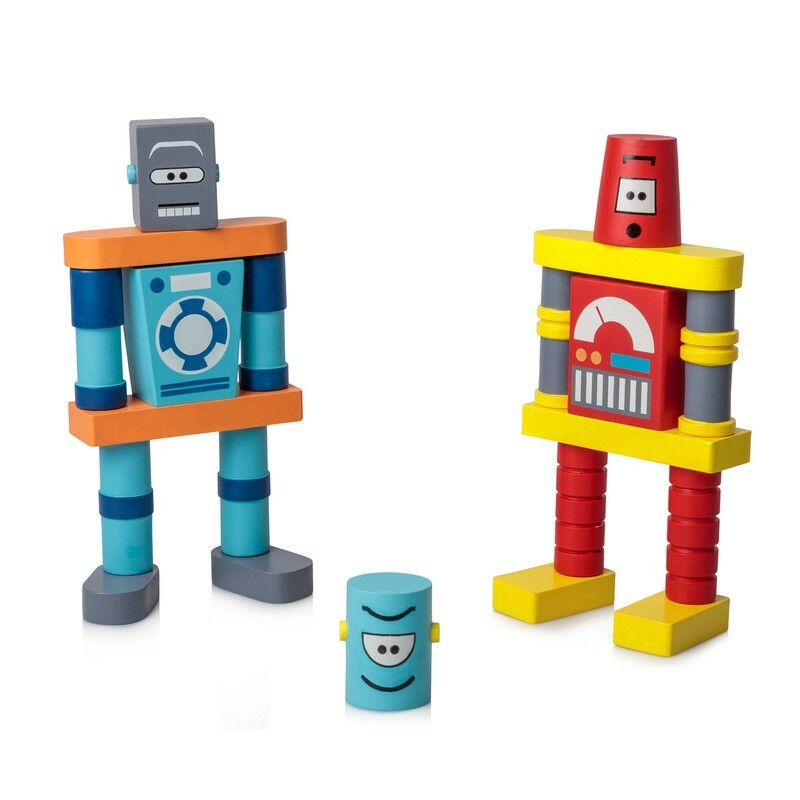 Can be taken apart and stacked again over and over, allowing for some fun and creative combinations. The painted wooden blocks have a very traditional look and feel to them as well, which is a really strong draw to a large proportion of customers.